SHSU’s Distinguished Professor of English and Regents’ Professor Paul Ruffin returns to his roots in several ways for his recently-released book of poems. Published by Ellis Press, an imprint of Spoon River Poetry Press—which also published his first collection of poems in 1980—the new collection, Cleaning the Well: Poems Old and New, combines some of his award-winning older works with a few newer ones. His sixth collection of poetry, Ruffin said he had not considered putting together a new book of poems until Ellis Press publisher David Pichaske contacted him regarding an educational association that wanted to purchase the rights to “Cleaning the Well,” a poem from the first collection, Lighting the Furnace Pilot. “Cleaning the Well” has appeared in several anthologies and in a Scott-Foresman high school textbook. “Most of my publications recently have been in fiction and creative nonfiction,” Ruffin said. “With a couple of novels in the works, another book of short stories, and another collection of essays, I just haven’t had time to think about poetry. 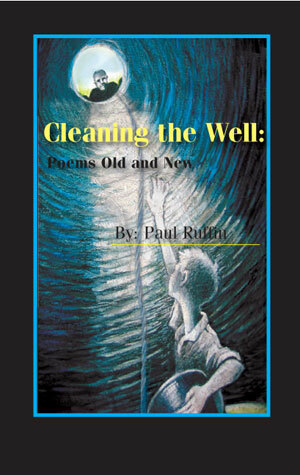 Cleaning the Well, is more than 120 pages of Ruffin’s best poems from his five earlier collections, one of which won the Mississippi Institute of Arts and Letters Poetry Prize in 1997. Many of the selections have appeared in such journals as Poetry, Paris Review, New England Review, Southern Review, Michigan Quarterly Review, Alaska Quarterly Review, and Georgia Review, and in numerous anthologies and texts, including Little, Brown’s Introduction to Poetry and Introduction to Literature. These poems have been highly praised over the years, including by well-known poet James Dickey, who said, “Paul Ruffin’s poetry is open, fresh, strong, believable, and imaginatively resourceful. Its tone is personal and convincingly human, and, though friendly and likeable, also aware of dark possibilities. Copies may be purchased for $14.95 through Ellis Press, at P.O. Box 6, Granite Falls, Minn., 56241, or online at amazon.com and barnesandnoble.com. They may also be purchased from Ruffin for $10 through the SHSU English department, at 936.294.1429 or eng_pdr@shsu.edu. Ruffin said that he will be glad to autograph copies. In addition to his poetry collections, Ruffin has published two novels, three collections of short stories, and two books of essays, as well as edited or co-edited 11 other books. Ellis Press, out of Granite Falls, Minn., and Spoon River Poetry Press are affiliated with Southwest Minnesota State University.